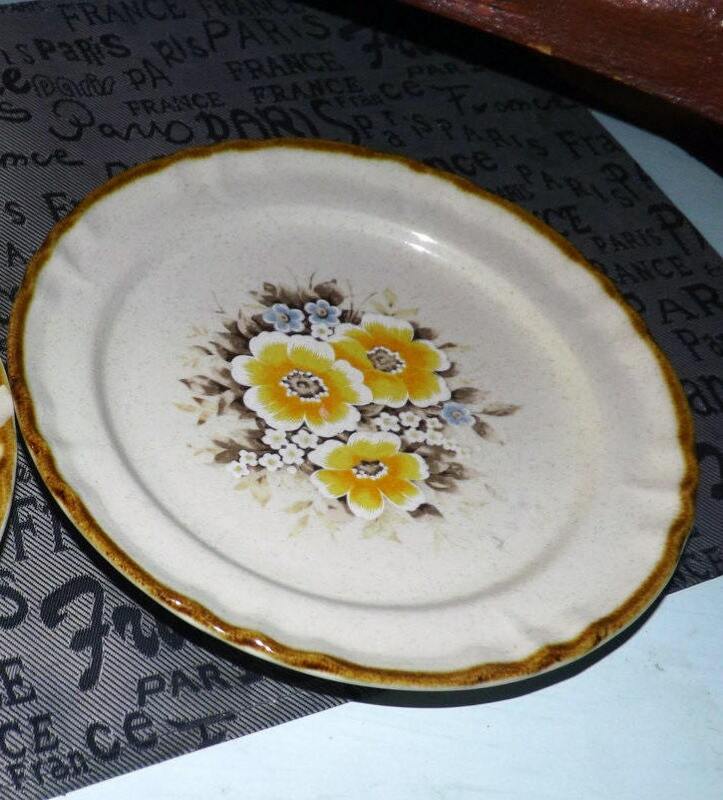 Vintage (1970s) Royal Sealy Japan Spring pattern stoneware salad or side plate. Yellow, orange, blue flowers, mustard edge. 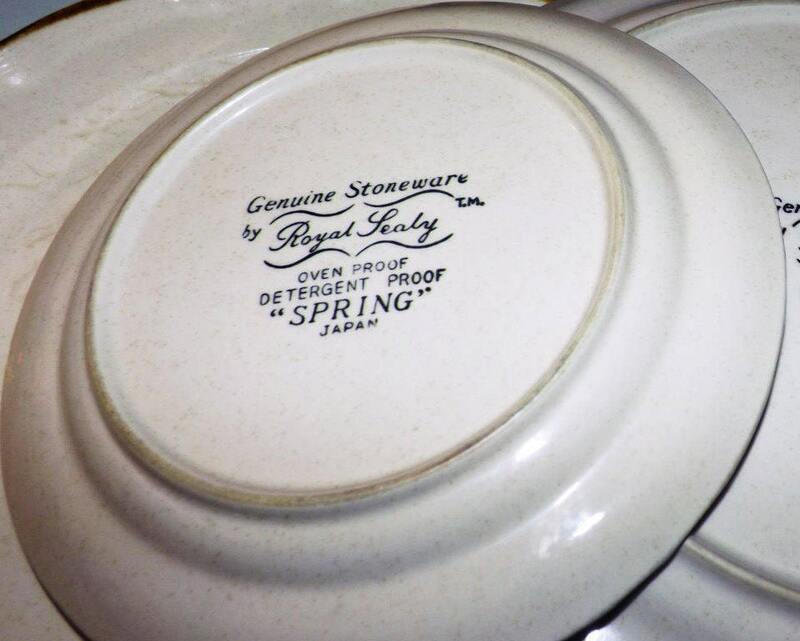 Vintage (1970s) and hard to find Royal Sealy Japan Spring pattern stoneware salad or side plate. 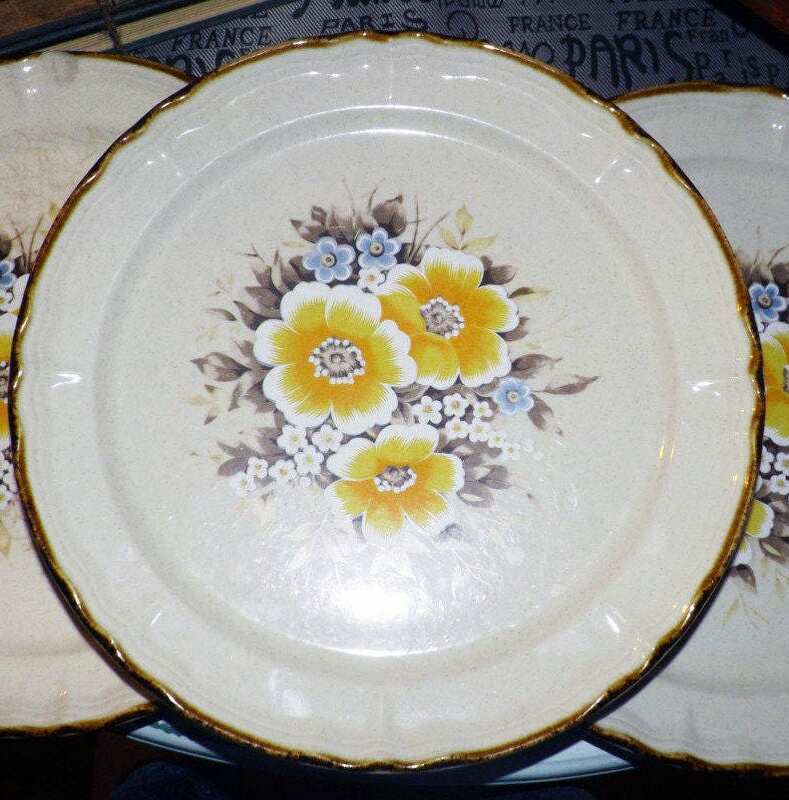 Spring features yellow, orange and blue flowers with an embossed and scalloped edge and mustard rim. In EXCELLENT! condition with NO! chips, nicks, cracks, or fleabites and NO! crazing. There are a few VERY LIGHT! utensil marks the plate surface (please review the posted photos for a complete visual of the plates) but otherwise, NO! marks, stains, scratches or other signs of use or wear. The yellow, orange and blue florals are bright and vivid with NO! appreciable fading. 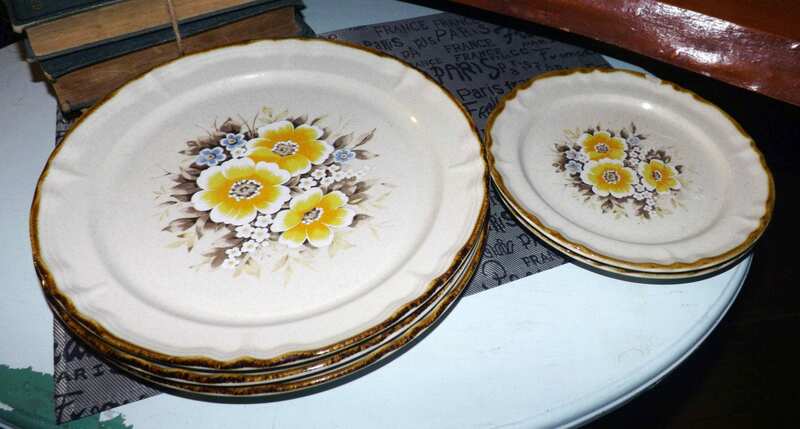 Approximate measurements: the large dinner plates are 11-1/2" in diameter | the salad plates are 8-1/2" in diameter. All have a scalloped and embossed mustard edge.